Our company was founded in 1949 and has operated the ryokan business in this place for 50 years or more.Over half a century has passed since our founding, and in many years we have more than 30,000 school trip excursions, and over 1 million students have stayed since our establishment. I stayed in a big room for the first time with my friend and chatted till late, I could hardly sleep, I competed for the amount of meat instead of eating sukiyaki all-you-can-eat, cooperating with the group to train Kyoto city and enjoyable memories Students who have been made an adult may also visit with family and friends again after becoming an adult.When I came to Kyoto when I was a child I can help in making memories that will last a lifetime, and when I come to Kyoto again, I spend a long time with my family and friends in one room, becoming extraordinary now I think that it is a work that is truly appreciated to "provide a place where you can have a pleasant and comfortable stay" with everyone. We will continue to assist you on school trips and we hope to continue to do our best to make everyone safe and comfortable for all of our employees. 1. Because there is a big lobby it is very convenient for the presidency party and the meeting. 2. The restaurant can accommodate up to 250 people. (Up to 220 for sitting comfortably) There is also a dining room where you can use up to 90 other people. 3. There are plenty of space to use for meeting chapters and group meetings such as 2 cafeterias, 2 banquet halls and lobby. Four. Because there are 4 baths, we put in 2 boys and 2 girls class at a time. Five. Sukiyaki is all you can eat meat without up fee! 6. There are two staircases in the facility, so if you divide it into men's private staircase, women's exclusive staircase you can use it cleanly and conveniently. 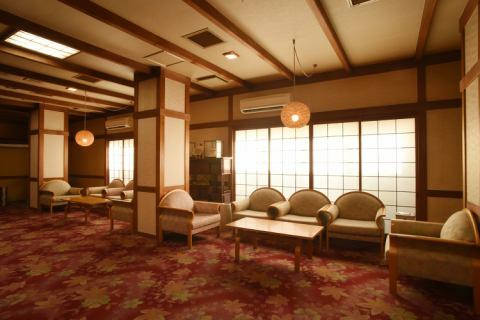 HOTEL SUGICHO, we will correspond to students' allergy as much as possible. 1. Please fill in the allergy interview questionnaire with the students at school. 2. We pick up the menu corresponding to allergy from the selected menu and we will propose alternative menu. 3. Please acknowledge it at school and travel agency. Four. 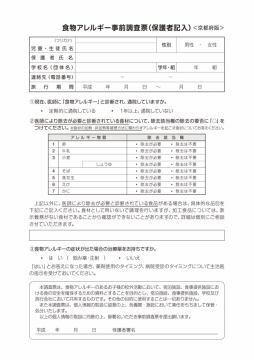 On the day of the event, we will put in a sheet of students' name, allergy, substitute menu.We will provide it after checking again in front of our officials and tour operator, or our teacher before meals. HOTEL SUGICHO, if the students are sick in the facility and have symptoms such as vomiting, we strive to prevent secondary infections according to the correspondence manual prepared under the guidance of the public health center. For disinfection, we use Norovirus's sterilizing Norostar and diluted hypochlorous acid solution. 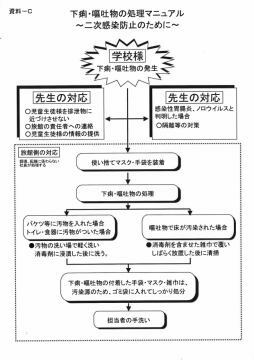 We will strive to prevent disinfection and secondary infection along the corresponding manual (left table).We appreciate your cooperation and understanding.